Please note that tickets cannot be re-scheduled, refunded or reissued. Free preview for preschool children provided they sit on adult’s lap. Otherwise, please purchase a separate ticket. Purchase at the Okinawa Karate Kaikan and receive an original good! 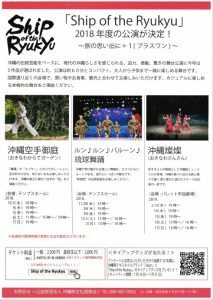 Above discounts are available only for one-time booking of a single performances through telephone or email transaction. Please contact us for discount for groups of more than 20. 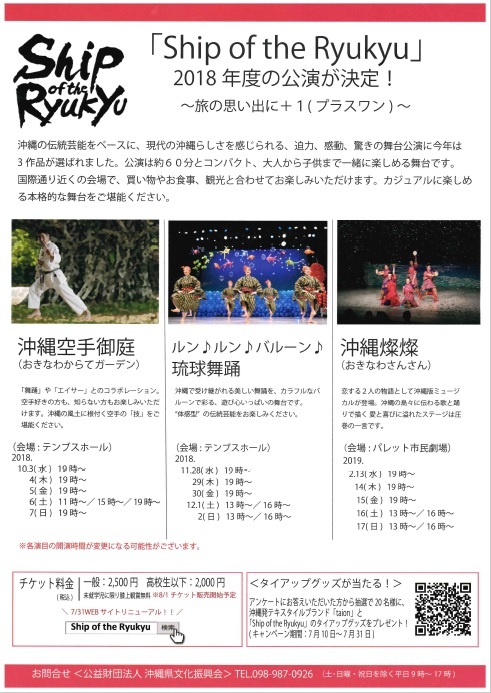 Tickets available at the Okinawa Karate Kaikan, Naha City Tourism Association, Ryubo Palette Kumoji, Coop Apple Town, Shureido, Dojo Bar, Ippon-do.